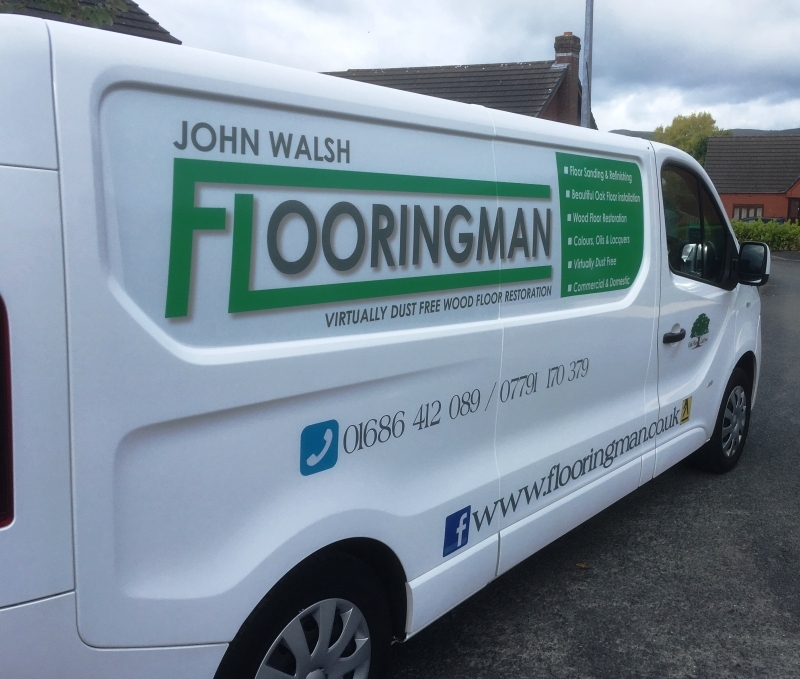 John was recommended to us by someone we had previously used who was scaling down his business and could not manage to do the work. 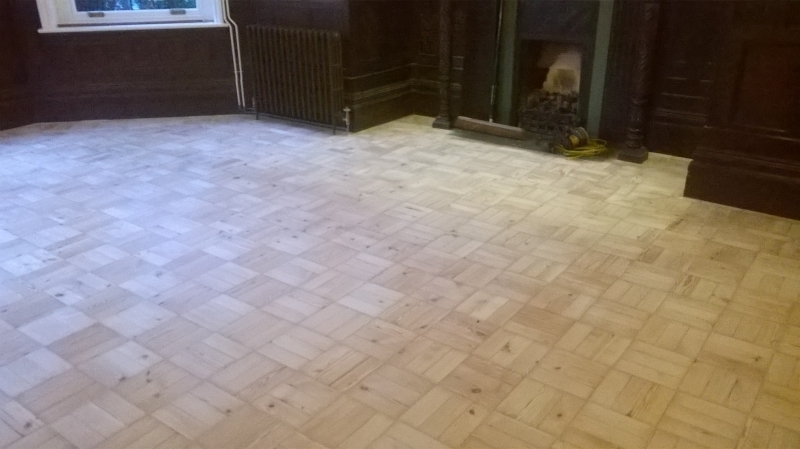 We have a floor which is over 130 years old and is pitch pine parquet. 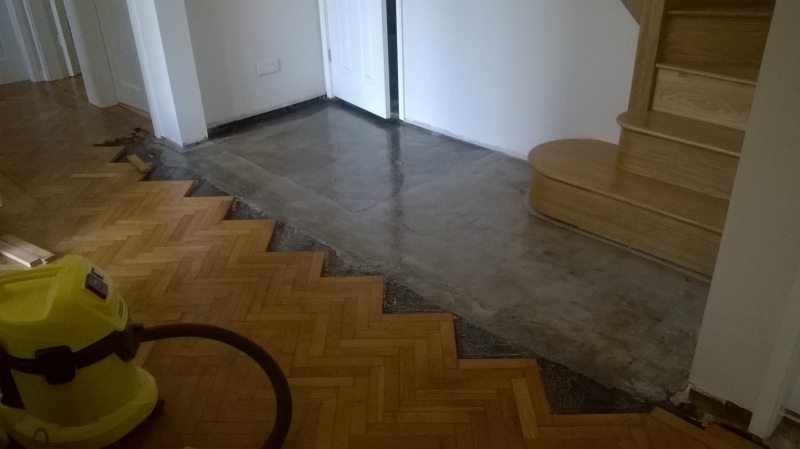 It had started to need some renovation cosmetically and we felt it needed some TLC. We contacted John and found him to be very helpful in the way forward; he gave us a quote and explained the procedure he would be taking. He was very prompt on the arranged day and the work was carried out with very little mess and a minimum of dust over the next few days. 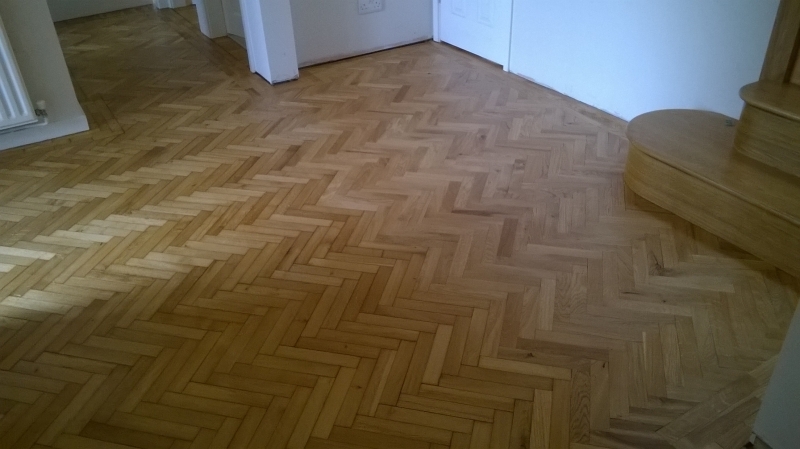 We found natural wood floors downstairs in our newly purchased semi, with the bonus of parquet flooring under the lino in our kitchen. We decided to compare getting them refurbished, instead of buying carpet for the lounge and dining room and new lino for the kitchen. 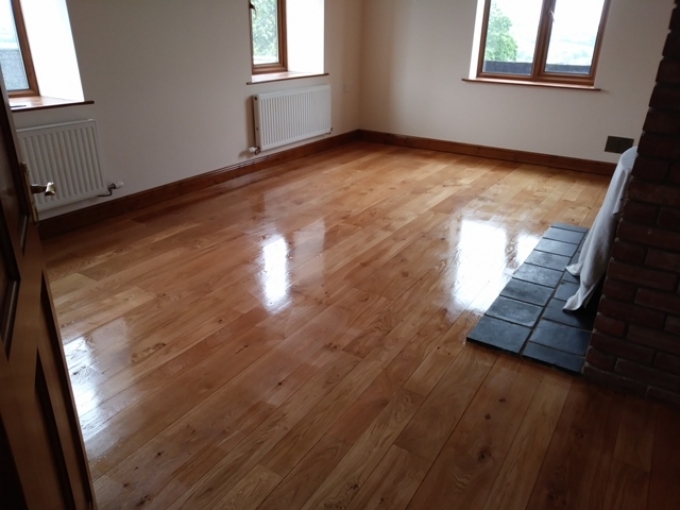 By some great fortune, we found Flooringman and were so impressed with his immediate understanding of what we were hoping for, as well as his knowledge of wood and how it should be treated, we never even bothered looking for carpet or lino. Jonny the Flooringman not only knows what he is talking about, but he also walks the walk. 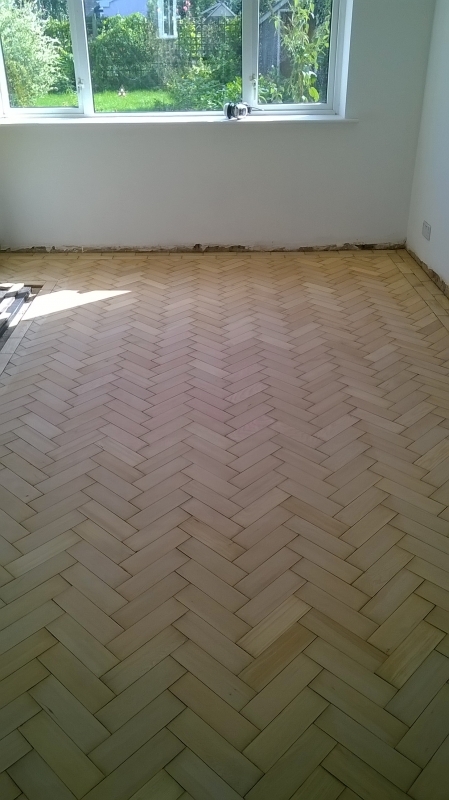 We have an oak parquet floor in the hall, ash strip in the lounge and dining room and pitch pine parquet in the kitchen. It might seem an odd mix, but after Jonny had finished we could not have been more impressed or happier. 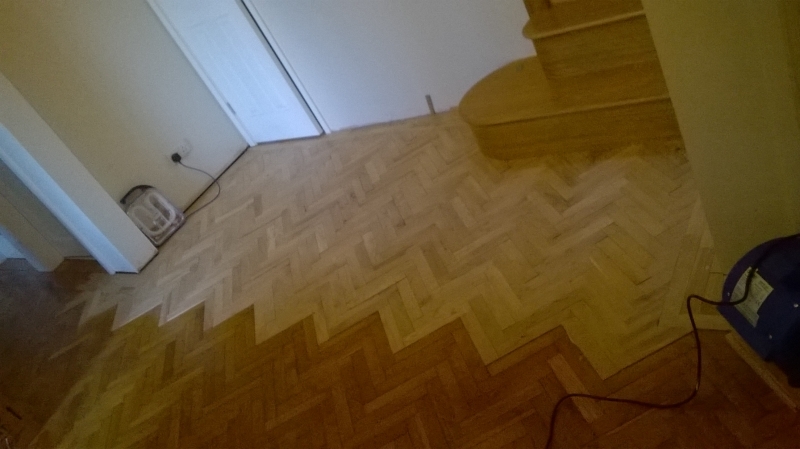 It was 40 square metres in total and took just 4 days from start to finish, with several sessions of sanding for each floor and two finish treatments. The result is just amazing, but not only that, he is that rare breed of artisan who takes huge pride in his work, combined with the reliability we all look for in hiring someone to do a skilled and specialised job of work. And, as if all that is not enough, he left absolutely no mess behind for us to clean up afterwards. 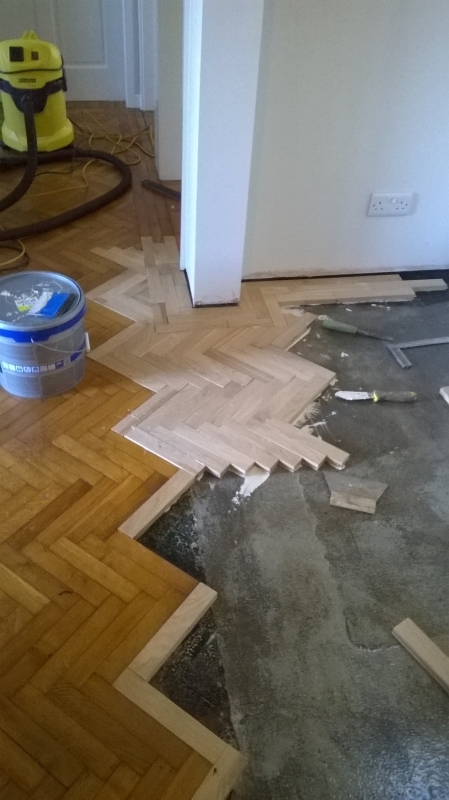 If you are even thinking about replacing your old natural wood floor with something modern or carpet, think again. 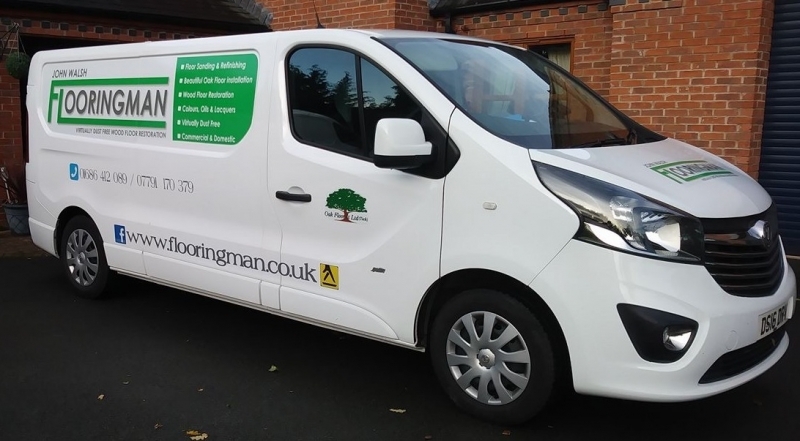 Give Flooringman a call, invite him to your home and have a chat. What a lovely man. Great job! Great value!